Using a rich variety of historical sources, Suzanne Morton traces the history of gambling regulation in five Canadian provinces - Nova Scotia, Quebec, Ontario, Manitoba, and B.C. - from the First World War to the federal legalization in 1969. This regulatory legislation, designed to control gambling, ended a long period of paradox and pretence during which gambling was common, but still illegal. Morton skilfully shows the relationship between gambling and the wider social mores of the time, as evinced by labour, governance, and the regulation of 'vice.' Her focus on the ways in which race, class, and gender structured the meaning of gambling underpins and illuminates the historical data she presents. She shows, for example, as "Old Canada" (the Protestant, Anglo-Celtic establishment) declined in influence, gambling took on a less deviant connotation - a process that continued as charity became secularized and gambling became a lucrative fundraising activity eventually linked to the welfare state. 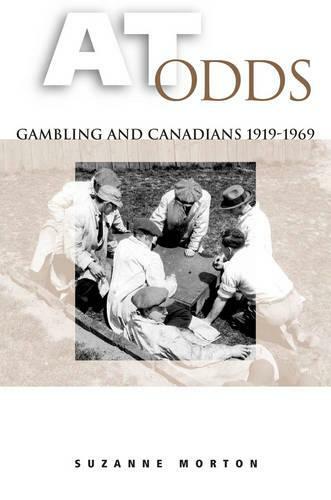 At Odds is the first Canadian historical examination of gambling, a complex topic which is still met by moral ambivalence, legal proscription, and volatile opinion. This highly original study will be of interest to the undergraduate history or social science student, but will also hold the attention of a more general reader.